I'm heading off on holiday next week and I could NOT be more excited to get away.. this month has been busy!! Now as excited as I am at the prospect of hanging out by the pool the rather daunting prospect of being bikini ready is looming... eeeeek! Aside from last minute panic exercising in the hope I'll develop a rear like Beyonce over the next few days there are a few other simple things that always help me to feel more bikini ready.. pre holiday prep as I like to call it! One easy way to get me in the holiday spirit is by taking care of the basics, and when it comes to grooming I'm pretty much covered top to toe with the help of a few tools. 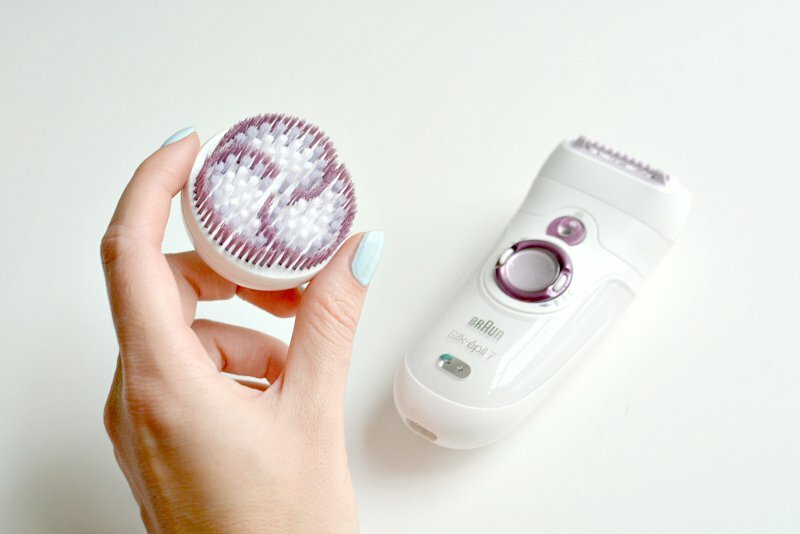 The Braun Silk Epil SkinSpa 7 is an all rounder covering hair removal and exfoliation. 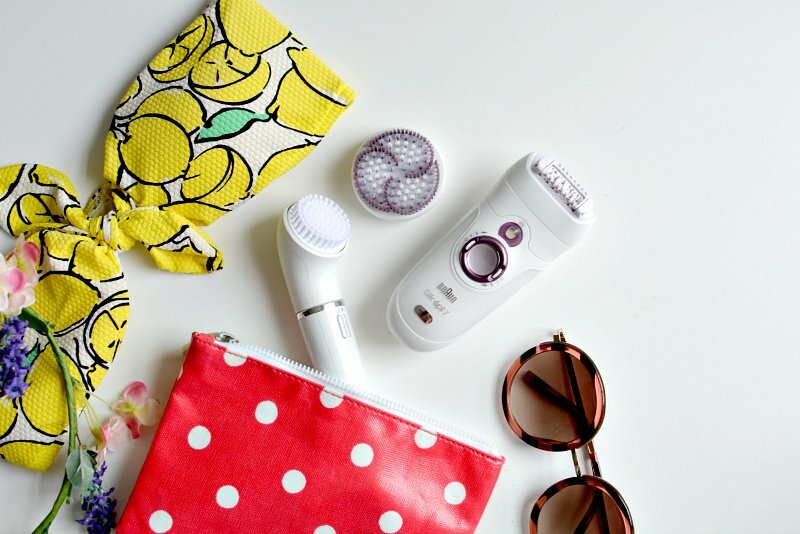 The epilator removes hair for up to 4 weeks meaning I can spend less time in the bathroom and more time by the pool each day... winner! The Silk Epil can be used wet or dry but my preference is using it when I'm in the bath or shower! (Top tip- pull your skin nice and tight when you run it over your legs as combined with the massaging rollers it's a much more soothing process.) It also has a pivoting head so it adapts to the contours of your body for a much closer finish and smoother legs.. something that will make me feel that little bit more comfortable when I'm bikini clad next week! Now after my legs are prepped the next little wonder is the body exfoliator.. I love this tool as it leaves my skin feeling soft and polished! The 10,000 little bristles make light work of all dry, dead skin and it leaves my skin glowing. It exfoliates 4 times more effectively than a manual scrub and leaves me with the perfect base for me to work on my tan! Smooth legs and polished skin definitely helps me feel more confident! Feeling prepped definitely means I'll feel a little more sassy whilst I'm on the beach! Braun's break free campaign centers around a similar message; be confident in your own skin ladies! 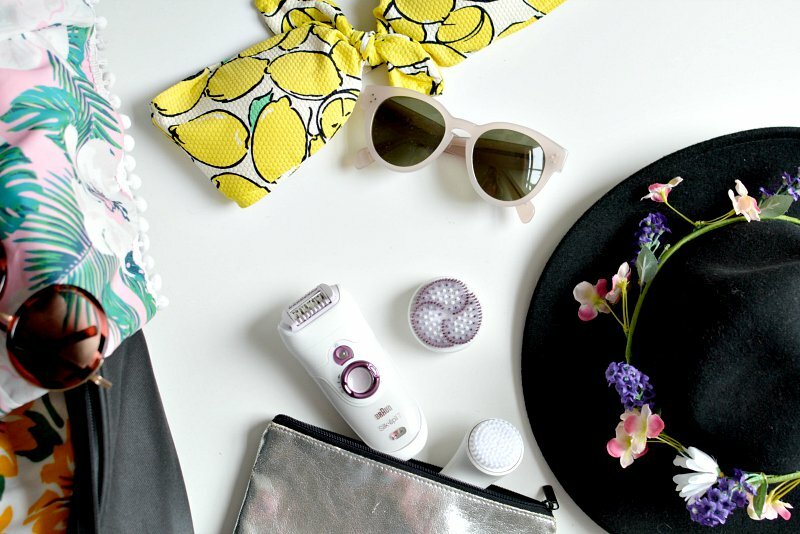 *sponsored post with braun, all opinions and bikini panic my own! I hope you have a great time on holiday! I can't get over how cute the lemon print bikini top is.